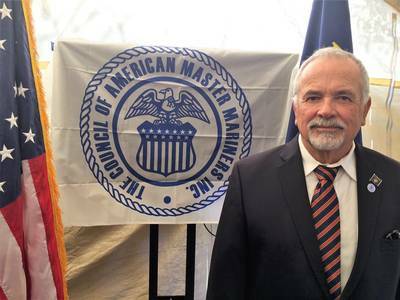 The Council of American Master Mariners is holding its annual Professional Development Conference. CAMM has issued "a call for papers." Theme: Who is Really in Command of the Ship? Benefits for Presenters: Presenters get one night free with meals on day of Conference. Ten minutes from San Diego Airport. The Council of American Master Mariners is dedicated to supporting and strengthening the United States Merchant Marine and the position of the Master by fostering the exchange of maritime information and sharing our experience. CAMM is a national professional organization of active and retired Captains, Pilots and Maritime Associates working for the betterment of the American Merchant Marine. Established in 1936, the Council is independent of any union, school or company. CAMM is a non-profit 501(c)6 corporation.